Google never sleeps. Again and again the search engine attends with small and big changes, which from SEO view in part have considerable effects. Google does not always puts its cards on the table, so some effects become visible only bit by bit. Here is the complete Google Update History, summarized by the seo-nerd. Including important updates such as Panda, Penguin, Hummingbird and RankBrain. Google announced a long-awaited update to Penguin. Penguin now works in real time and has been integrated into the core algorithm. The expected impact was manageable and hardly any recollections of previous penguin punishment were reported. Google rolled out the biggest update to the local search since Pigeon, unofficially named Possum. It should remove little relevant and duplicate content from the local search results. First in the US and then later in Europe, SEOs and tools reported violent deviations in the rankings. As always, Google is silent about whether there are actually algorithm changes behind it. Meanwhile, however, it seems clear that this is an update. Over a year after the first “mobile-friendly” update, Google rolled out another ranking boost for mobile-optimized pages in mobile search. Google has made major changes to AdWords. Ads are now no longer displayed in the right column. For this, three instead of four displays are displayed above the organic search results. Although this was a pure AdWords change, there were also effects in the CTR of organic search results. In January, major changes in the ranking were observed. This was not, however, a penguin update, but an update of the core algorithm. Google unveiled in a big announcement that for months now the AI system RankBrain has been part of the search algorithm to intelligently interpret search queries. For example, search queries that have never been done before will be better processed. After a long pause, Google announced another Panda update but its content was not much commented on. However, there were no signs of a larger algorithm update. After several significant changes in the ranking, initially referred to as Phantom 2, Google confirmed a change in the core algorithm that affected quality signals. The update seemed to have far-reaching consequences; but the content was not disclosed. A rare case: Google announced an update already in advance. Mobile user friendliness was included as a ranking factor in the algorithm, which in some cases led to considerable losses of position in the SERPs for non-responsive pages. There were reports of a major change in the SERPs from different sites. It was speculated about updates with a focus on e-commerce or mobile usability. Google did not officially confirm an update. Googles large Local Algorithm Update Pigeon was expanded to Great Britain, Canada an Australia. More than two years after the DMCA/„Pirate“ update Google rolled ou another update to process against software- and media-piracy. This update was highly targeted and caused significant ranking losses to a small group of sites. After more than a year break since the last Penguin update (2.1), Google brings out a Penguin refresh. The update is much smaller than expected; Less than 1% of English search requests were affected. Since the update was carried out over a longer period of time, changes could not be detected exactly. Google expanded the links of the „In the news“ box to a wider range of potential news pages. The presence of news results in the SERPs increased and larger news portals reported significant traffic changes. Google announced a significant Update for Panda, which includes an algorithm component. 3-5% of search queries were meant to be affected. Since the roll-out took place over a long period, concrete effects were difficult to detect. After first removing the photos from the Authorship markups, Google announced to completely remove Authorship. After months of speculation Google announced to give preference to secure sites. Adding encryption should have a positive effect on the ranking. Google shocked the Local SEO World with an update that had significant impact on some local search results. With Pigeon, the local search algorithm was linked closer to the core algorithm. John Mueller made a surprising announcement: Google removes all the authorship photos from the search results, although Authorship was previously strongly promoted as a link to Google+. Less than a month after the Anti-Spam-Update Payday-Loan 2.0 Google raised the ante. While 2.0 was processing against certain pages, 3.0 targets spammy search requests. As Google announced, the new Panda Update included both an algorithm update and a data refresh. Officially about 7.5% of English-language search requests were affected. Google updated its Payday Loan Algorithm to better prevent illegal SEO measures. Google refreshed its Page Layout Algorithm and continues to punish pages with too many advertisements. As Matt Cutts confirmed, the Authorship mark-ups were reduced in 15 % of the Rich Snippets in the search results. After a gap of several months Google published another Penguin update which was mainly a data update. The changes concern primarily the spam control and influenced about 1% of the search requests. About a month after the rollout of the update, Google announced the release of the Hummingbird Update. The significant changes in the algorithm have affected over 90% of global search queries. The new search algorithm should be able to interpret search queries better in order to provide users with high-quality search results. With this update Google introduced a new feature in the search results. The In-depth Articels constitute a separate block of three snippets pointing to longer subject articles about the search queries. Thus, Google increased the relevance of evergreen content. Another updated of the Knowledge Graph provides this feature for more search queries. With another Panda Update Google slightly moderates the penalties. With another algorithm update, Google specifically targeted spam-laden search queries. With the comprehensive changes in the algorithm because of the update Penguin 2.0 Google improved the possibilities of web spam detecting. With this update, Google processed massively against the so-called Domain Crowding and thus made a greater variety in the search results possible. This update was never confirmed by Google, why it was named Phantom. Although nothing specific about this update has been posted, some sites suffered from significant losses in the SERPs. Matt Cutts announced another Panda Update, before this would be integrated completely into the core algorithm. Another refresh of Panda was announced by Google. The changes affected about 1,2 % of the search results. So to say as a Christmas gift Google presented another Panda update, which was officially referred to as a „refresment“ and impacted 1.3% of the English search requests. This was a slightly higher impact than its predecessors. Google expanded the Knowledge Graph functionality to non-English search queries, including German, Spanish, French, Portuguese, Japanese, Russian and Italian. According to Google, the 21st revision of Panda influenced 1.1% of English search queries. Google also confirmed the 22nd Panda update. This ensured an improved data management. Google announced an update to the Page Layout Algorithm made in January. This update targeted websites with to much above the fold ads. After Google suggested that the next Penguin update would be lager, only a small update was made, which only affected 0,3 % of the search queries. At the beginning of October Google announced that several minor updates were already made in August and September. These updates affected mostly the Knowledge Graph, the calculation of page quality and changes in the local SERPs. With the EMD (Exact Match Domain) Update Google placed the relevance of high-quality content for keyword domains as a ranking factor. At the same time, a slightly larger Panda update was released, which concerns 2.4% of all search requests. As the count of the Panda updates became increasingly confusing, this update was named # 20. The 18th and 19th Panda updates are only smaller Data refreshs, which concerned less than 0,7 % of all search queries. Google reduced the displayed search results from 10 to 7 for many queries because of increasing sitelinks. According to an official announcement about copyright violation, Google now proceeds harder against pages which are conspicuous because of copyright infringements. At the same time, it was confirmed that in June and July several small updates were made, which mainly helped trustworthy sites to a ranking boost. The new Panda updates made for improved data collection, which did not affect the algorithm and concerned less than 1% of the search queries. Google confirmed to have made 39 smaller updates in May that affected especially Penguin and Google News and enabled an improved detection of link building. Google rolled out the first update since the release of Penguin. It was especially proceeded against web spam and also announced that similar to Panda a continuous publication of updates will be given. Google took another step in the matter of semantic search and introduces the Knowledge Graph. This display, integrated in the SERPs, shows additional objects and information to the organic search results. As a refinement of the Penguin update, Google confirmed the implementation of several minor changes that concerned, for example, sitelinks and indexing. After weeks of speculation Google finally rolled out the new update Penguin which should proceed stronger against spam. A number of spam factors have been adapted with Penguin. Mainly sites that used keyword stuffing were clearly punished. Around the the release of Penguin, Google also worked on two more Panda updates. The routine updates did not affect the SERPs much. As part of the monthly updates, Google introduced Venice vor. This algorithm change increases the integration of Google Places into organic search. At the same time the update Panda 3.3 was confirmed. Google updated the Page Layout algorithm, in order to punish websites with to much above the fold ads. Although this update was highly important from a SEO’s point of view, Google has not given it an own name. Google announced a radical change in personalization. Google+ data and profiles were now much more closely involved in the search results. Google also built a new toggle button to disable personalization. Google presented another set of 10 updates, announcing that these notes will be made monthly. The updates included refinement of queries and detection of parked domains as well as improved blog and image search. The exact date of each update was not disclosed. After Panda 2.5 Google started to launch smaller updates more frequently. Some called the 11/18 update Panda 3.1 although there was no official 3.0. Matt Cutts released a post with 10 recent algorithm updates. While these were only smaller changes, it was clear how Google would communicate algorithm changes in the future. Google announced that an algorithm change rewarding freshness will affect up to 35% of search queries. The update mainly affects daily search results, but also shows an increased focus on fresh content. Search results will be transferred encrypted in the future in order to meet the increased need for security on the Internet. However, this also means that keyword data is no longer passed on to the target pages. Matt Cutts announced via Twitter some “Panda-related flux” in the next weeks. Minor updates were made on 3 October, 13 October and 18 November. After more than a month, Google confirmed another Panda update. Exact content was not disclosed, but some site operators reported significant scale-losses. To resolve crawl and duplication errors caused by the pagination, Google introduced the link attributes rel = “next” and rel = “prev”. Google also explained that the automatic consolidation and canonization of “View All” pages has been improved. After a period of experimentation Google introduced the Expanded Sitelinks, often shown for brand queries. Panda was now rolled out internationally or english-language queries as well as for non-english queries, except for Japanese, Chinese and Korean. Google reported that this impacts 6-9% of the search queries from the affected countries. Webmaster Chatter indicated the roll-out of another update an. It was unclear, however, whether new factors were introduced or this was simply an update to the Panda data and ranking factors. After some social media failures Google launched a serious attack on Facebook by starting Google+ Google+ allows sharing content and has been tightly linked to other products like Gmail. Within two weeks, Google+ had already reached 10 Mio. users. Google proceeded to update Panda-impacted data and sites and confirmed Panda 2.2 officially. The update concerned more ranking factors than the algorithm. Google, Yahoo and Microsoft announced a common standard for structured Web content data. This will allow better search results in the future. Google rolled out further changes of Panda aus. However, since these have not been discussed in detail by Google, this update seems to be relatively minor and therefore can not necessarily be referred to as Panda 3.0. The newly released Panda update from Google affected all English search queries, but is not limited to English-speaking countries. New signals have been integrated, such as data from pages that users have blocked directly through the SERPs or Chrome. In order to get in direct competition with social networks like Facebook and Twitter, Google introduced the +1 Button, next to the links of the search results. This allows users to influence the search results in their social circle in both organic and paid results. The large algorithm update Panda showed strong impact on up to 12% of the search results as Google reportet. P Panda was particularly hard on thin content, content farms, sites with increased advertising content ratio and other quality problems. The Panda update was rolled out over several months and reached Europe in April 2011. To proceed against the high volume of spam cases, Google rolled out another update to sort content attribution and stop scrapers. According to Matt Cutts this is about 2% of all search queries. This update is clearly seen as a harbinger of Panda. The public revelation of the questionable SEO practices of Overstock.com led to a very publicly effective penalty by Google. In February, JCPenney also received a punishment for a similarly bad behavior. Both situations showed a change in Google’s attitude and already indicated the Panda update. After an article in the New York Times, how the e-commerce website DecorMyEyes ranked based on negative ratings, Google responded and adapted the algorithm. Google and Bing confirmed that the use Social Signals as a ranking factor, including data from Twitter and Facebook. Matt Cutts confirmed, that this is a relatively new development on Google, although many SEOs had anticipated this. A magnifying glass icon appeared in the Google SERPs. This enabled visitors to quickly preview the landing pages directly in the SERPs. This indicated a renewed focus for Google on landing page quality, design and ease of use. Because this feature was not used by users, it was discontinued in 2013 (unfortunately). Google Instant started as an extension to Google Suggest. This means that search results will be shown before the question is finished. SEOs around the world freaked out, only to realize that the impact was quite small. Although it is not a traditional algorithm update, Google started to display the same domain multiple times on a SERP. Until now, domains were limited to 1-2 entries. After months of testing Google rolled out the new core algorithm. Caffeine guaranties a 50 % fresher index. At the end of April and the beginning of March webmasters recognized significant drops in their traffic. Matt Cutts later confirmed that May Day was an algorithm change witch major impacts on die Long-Tails. Sites with thin content seemed to be hit especially hard, which is why one thought of Panda. Although „Places“ sites were rolled out in September 2009, they were originally only part of Google Maps. The official launch of Google Places changed the My Business Center. Google Places pages were more closely linked to local search results and Google added a number of features, including, of course, new local advertising opportunities. With Realtime Search Twitter feeds were taken into the ranking, just published news and also other published content are included in the search results in real time. More and more content, which should be inserted in real time follow. A preview of the upcoming core algorithm Caffeine was rolled out in August 2009. Caffeine (designed for fast indexing and fast crawling) was completed in the summer of 2010. SEOs reported a major update that seemed to strongly prefer big brands. Matt Cutts called Vince a “minor change”, but others believed that it is a profound update, with long-term impact. Google, Microsoft and Yahoo had announced it: the Canonical tag has been supported since February 2009 by the major search engines. Webmasters can send canonization signals to bots since then, without affecting human visitors. In August 2008 Google Suggest was introduced which displayed suggested search queries in a dropdown; the basis for Google Instant Answers and the first step towards longer search queries. The logo and the homepage itself have also been adapted. An extensive mixup went through the SERPs at the end of March and beginning of April 2008 but the details were of course unclear. Some implied Google’s own internal products were pushed, such as Google Books, but the evidence was limited. In honor of Vanessa Fox, who left Google, the update “Buffy” was launched. No one was quite sure what had happened in the SERPs. In the end, Matt Cutts said Buffy was just a collection of minor changes. war. Kein typisches Algorithmus-Update, 2007 integrierte Google in die traditionellen Suchergebnisse die Nachrichten, Video, Bilder und lokale Ergebnisse. 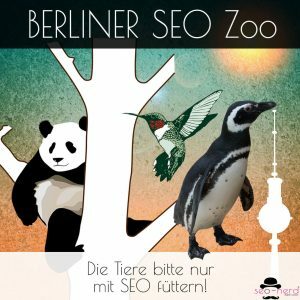 Die Vertikalen Suchergebnisse, veränderten das Format der SERPs dramatisch, das Ende der 10-blue-links-SERPs war nun offiziell. Many webmasters said they had noticed an update in late November – early December along with major ranking changes, which was merely false alarm, according to Matt Cutts. In 2006, Google seemed to make changes to the index and, e.g. how filtered pages were treated. They claimed at the end of 2006 that it was, only supplement and no penalty (even if some webmasters regarded it as penalty). Big Daddy was an update of Google’s infrastructure, such as Caffein 2010. However, Big Daddy was technically versed and had thus also less influence on the SERPs. The Big Daddy Update primarily changed the handling of Canonization and the famous 301 and 302 redirects, as well as other technical aspects. Google brings together the products Google-Local and Google-Maps. The merger of Maps and Local was the first major change for Local SEO. The Jagger Update is targeted on links of poor quality. These include link farms, reciprocal links, and naturally paid backlinks. The Jagger update has been rolled out in three stages, from September to November 2005. The update is scheduled for October, as it has the greatest impact on rankings. According to Matt Cutts, Gilligan was not really an update, merely the impact of Backlink– pagerank data in the SERPs. So Gilligan was just an exceptionally striking change in rankings. Somehow it is then an update, an update of the pagerank and backlink data. It was only in June 2005 that Google made it possible for the webmaster of this world to use the search console to submit an XML Sitemap to Google. Part One of the personalized search was confirmed by Google on June 28. The first step to the personalized search results from Google was to use the search history for rankings. A GoogleGuy in webmaster forum (presumably Matt Cutts) has announced an update rollout: The Bourbon Update. After some speculation it is assumed that the treatment of duplicate content has been adapted. Allegra’s goals remained unclear. Whether Google improved the semantics or started to punish suspicious links never came out. Allegra is probably the optimization of latent semantic indexing (LSI). The introduction of the NoFollow attribute for links was announced in January 2005 by Google, Yahoo and Microsoft. The attributes are supposed to help to control the links of a website better and especially be used at spammy blog comments. The introduction of the NoFollow attribute is not a traditional update, but it had a considerable influence on the link strength and rankings of various websites. With Brandy several changes were made to the rankings, including the Latent Semantic indexing (LSI), the concept of link neighborhoods, and the increased attention to the relevance of anchor texts. The Brandy Update and the LSI allows Google to understand synonyms (in 2004) and raised the keyword analysis to a new level! The old-school SEO techniques Florida had missed were cleared by the Austin Update. Austin’s list included hidden texts and keyword stuffing in meta tags. For many SEOs it became clear that Google would take the “relevance of a page to a topic” significantly more seriously. This major update put an end to the 90s SEO tactics such as keyword stuffing. Many sites lost ranking and the game of SEO begun. To index more documents without loss of performance, Google introduced an additional index (Supplemental Index). This step has long been discussed in the SEO world until Google re-integrates the additional index. With Fritz the Google Dance finally came to an end. Instead of changing the Google Index once a month via “refit updates”, Google switches to changes step by step. In other words, the index is now changing daily. Esmeralda was the last of Google’s regular monthly updates. The Google Dance was replaced by Everflux. Google Everflux means nothing more than a stable, lighter change of ranking positions in the SERPs. Esmeralda has probably made some significant changes to the infrastructure of the Google ranking algorithm. Many changes in the SERPs were observed in May. The Google Bots „Freshbot“ and „Deepcrawler“ scoured the web and caused many fluctuations. The nature of Dominic was however unclear. With Cassandra, Google has fixed some link quality errors. A lot of links from sites, which you also owned, as well as hidden links were affected. Websites with hidden text were also hit by Cassandra. The first update named by Google was announced at the SES in Boston. Originally a big, monthly update was planned: A combination of changes and index refresh (called Google-Dance). When there were later regular updates, the idea of monthly updates was quickly rejected. Before the first official Google Update called „Boston“ in 2003 there were major changes in 2002 in the SERPs. Webmasters perceived much more movement, as it was usual until then. In July 2001, Google launched the search engine for images, with initial access to 250 million images. Google launched their browser toolbar including the Toolbar PageRank (TBPR).